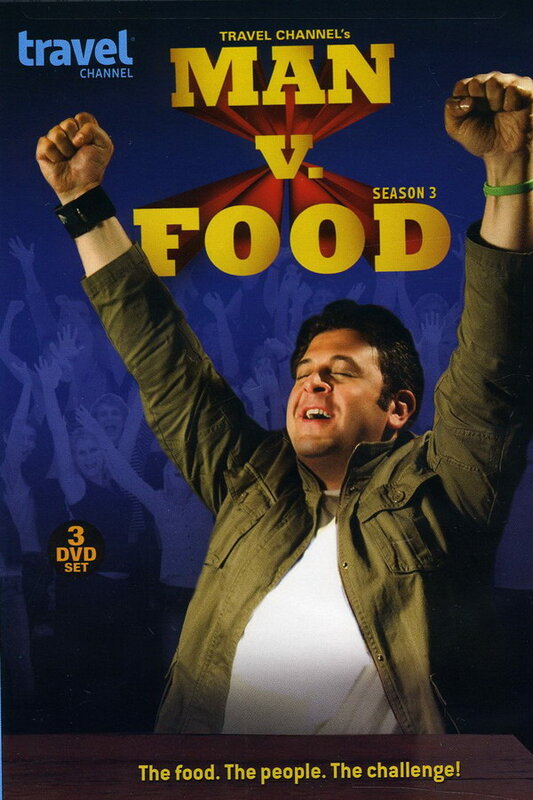 Man v. Food is an American food reality television series. In each episode, the host travels around the U.S. and takes on a variety of local eating challenges involving meal size, spiciness and other daunting factors. The font used for the title of the TV series is probably Rockwell Ultrabold. The font is a commercial one and you can view more details about it here. In addition to Man v. Food, It seems we can’t find other examples (logos, movie posters, album covers etc.) of typeface in use.